As you’ve probably guessed, training a cat takes a bit more time and patience than training a dog. Dogs are eager to please their masters, and cats – well, they don’t worry about whether you’re pleased with them or not! If you’re wondering how to discipline a cat without going completely crazy in the process, read on. Regardless of how your cat is misbehaving, you can implement disciplinary measures that will turn your feline into a well-behaved cat who will do anything they can to make sure you’re happy with them. OK, so maybe that’s a bit of a stretch! But it is possible to train your cat to stay away from your countertops, curtains, plants, etc. Have you been trying to discipline your feline with results like this? ​Be consistent: If you don’t want fluffy jumping up on the counter, then you must discipline him every time he does it, or he will think it’s ok to do it. If you only discipline him some of the time, he won’t understand what he’s doing wrong and will just keep jumping on the counter. ​Use a firm voice: Use a firm voice when you’re disciplining your cat, without yelling. Saying, “NO,” or “BAD,” or “DOWN” will let them know that they’ve done something they shouldn’t have. ​Use a different tone: Using a different tone when you’re disciplining than when you’re playing or petting will give your cat the message that you’re not pleased. Along with being firm and implementing disciplinary measures, your tone can indicate whether you’re happy with them or whether they’re in trouble, (they still may not care but at least they’ll know!). ​Reward your cat: Find out what motivates your cat and use that to reward him. Usually, treats will do the trick. When your cat obeys your command, give them the treat right away so he can associate that good behavior with the reward. ​Give your cat plenty of love and affection: Some cats appreciate affection more than others; but regardless of your cat’s personality, show him some love every day, such as a pat behind the ears or a tummy rub (if they like that, some cats don’t tolerate tummy rubs at all!) Let him jump up on your lap or sit on your desk while you work away. Your cat needs to know you’ll be there for them when they need you. Pay attention to your cat’s personality: Remember that your cat needs to trust you first before you can start disciplining him. If he is nervous or skittish, you may have to load up on love and affection first, to let him know you are not going to harm him. Let you cat lead the way when it comes to trust. If your cat is in a certain room doing something it shouldn’t, try picking him out and gently placing him outside of the room; or, you can put him in his own contained space for a few minutes. This is essentially letting him know that he’s been given a time out. It’s important to keep the time-out short, and make sure the cat has something to entertain himself with, such as a cat toy or scratching post. This method is best used if your cat is being naughty in a room that he can’t easily get back into. This is ideal if your cat is jumping on counters or other surfaces. Set a booby trap by piling up boxes or light objects, so that when your cat jumps, he will knock over the objects, thus scaring him off. He will associate that surface with danger or unpleasantness and won’t jump up after a few encounters with the booby trap. Is your cat eating your favorite plant again? Divert them with a toy or other activity that will direct them away from the naughty behavior. Sometimes cats do things because they are bored, not because they are purposely being defiant. They may just need some attention and an activity to partake in. If you want your cat to stay away from a certain area, try placing some orange peels around (you can also buy orange-scented spray bottles) so they will be less likely to inhabit that room or area. Other scents they don’t like include citronella, eucalyptus, wintergreen, aloe and perfumes. Soak a cotton ball or pad with these scents to keep your cat away from unwanted areas. Never hit your cat. There are no exceptions to this rule. It is never ok to hit your cat for any reason. If you do, they will soon come to mistrust you and be fearful of you, which is the exact opposite effect you’re looking for. ​Only punish your cat if you catch him in the act. Punishing him after you’ve found out he has misbehaved will confuse him. He won’t associate the bad behavior with the punishment. Again, this could lead to mistrust and fear. Remember that cats are curious creatures, and they don’t purposely do things to annoy you. This goes double for kittens and you will need to be patient with them, showing them plenty of love and affection along the way. 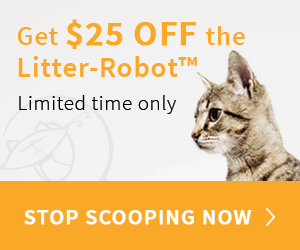 If you find that your cat is litter box trained but doesn’t always use it, there could be several reasons, including a full litter box, or that he’s upset or anxious. The best way to solve this issue is to find out why your cat isn’t using the box exclusively. Make sure his litter box is clean and that he has a safe, calm environment. Sometimes cats show their displeasure this way when there is a new addition to the household, whether human or animal. If you can’t get to the root of the problem, ask your vet for advice. You may have to try one or more disciplinary methods before you find one that works best on your cat, it also may depend on the type of behavior they’re exhibiting. What works for one feline may not work on another. Cats are notorious for having unique personalities, based on breed and upbringing. The most important thing to keep in mind is that while you’re disciplining, you’re also building a bond between the two of you. Your cat will come to love and respect you if you treat him with love, kindness and affection. What do you do to discipline your cats? We’d love to hear your ideas!